"I loved horses all my life," says Becky Henson, "and never seemed to have the opportunity to have one. When my kids were small, everybody in the neighborhood starting getting ponies for their children. So, we began with ponies and then got a horse. But when we started looking around for things for the horse, we had to drive at least an hour to find what we needed." From that need, Henson's H-Bar Western Store was born in 1984. "We were doing an extension on our house at the time," says Becky, "and we opened there. We laughingly said we were the only western store with ceiling fans and a full-wall brick fireplace! It was small. Everything we had could fit in the back of a pickup truck. But it kept getting bigger. We built another building beside the house, and in no time, outgrew that." Becky discovered an old convenience store for sale in Grahamville (West Paducah) and decided to move Henson's to its first stand-alone location. By then, Henson's had become a well-known name in western wear and horse supplies. Events in Missouri, Illinois, and Tennessee would mean a spike in business for Henson's. "We've had people in from all over the world—places like Russia, Australia, and France," says Becky. "When the World Equestrian Games were held in Lexington, we had one trainer who rented a car and drove down here just to see the store because he had heard about it. He was from Great Britain." Hensons also takes the show on the road. "I pull a forty-foot trailer that is a mobile store and go to mostly Quarter Horse shows. I also do 4-H things because my kids were involved, and that's where my heart is." Becky's stock is now far more than could fit in the back of a pick up truck. 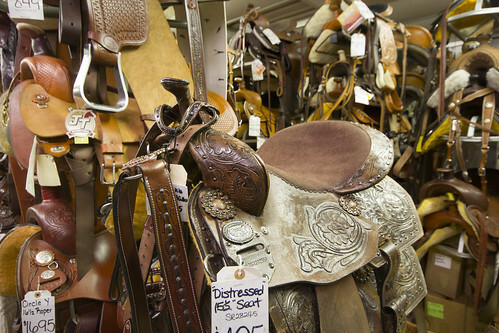 Henson's carries everything a horse or rider could need. 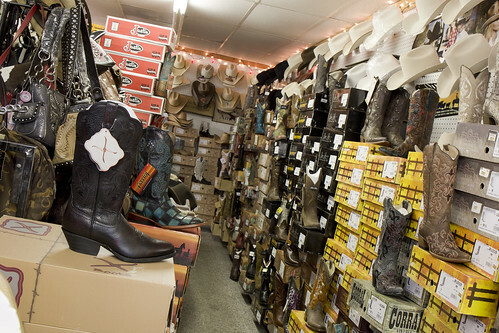 She stands in the front of the store, surrounded by rows of cowboy boots and hats. A wall of stirrups, bridles, and other horse equipment shoots back to stacks of saddles that rise from floor to ceiling. Becky smiles. 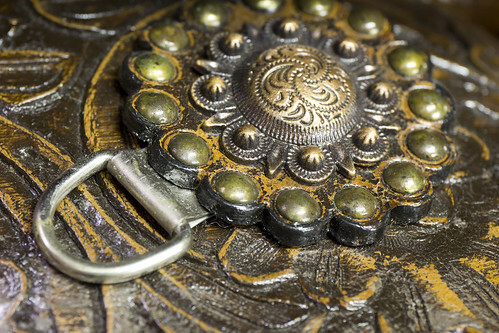 Even after 32 years in business, she finds a great deal of passion for what she does. "It's about the love for horses," she says. "It seems like it's something you're born with, and it becomes a lifestyle. I see that love passed on when children and grandchildren of our first customers start coming in. They have a lot of fond memories, and now they are carrying that forward for their own families."